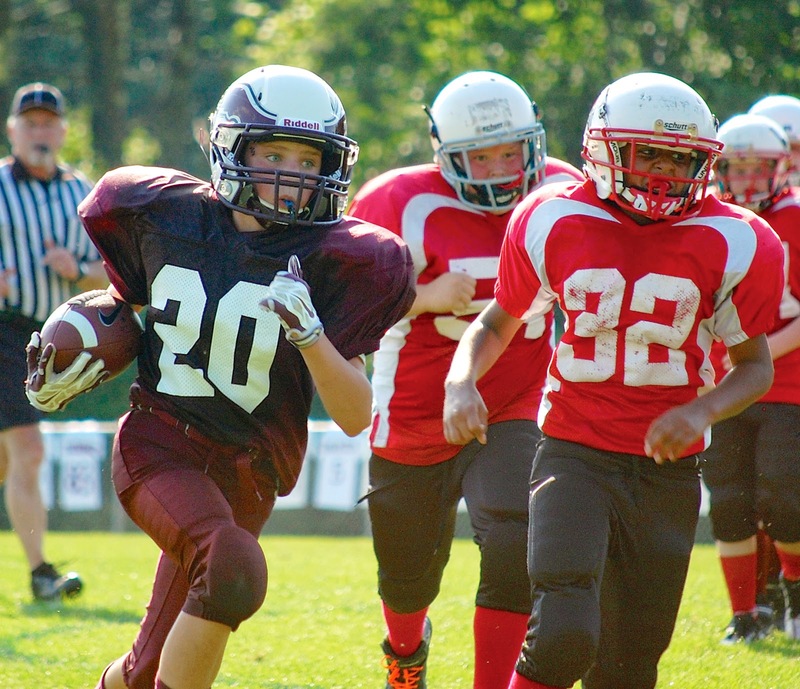 Windham Middle School coach Tony Leslie knows the importance of staying positive when it comes to leading his Eagles, so after the team lost to a tough Sanford squad in the season opener, he made his plans for the rest of the season quite clear. “I don’t expect to lose again anytime soon,” Leslie said a little more than 24 hours after the game. 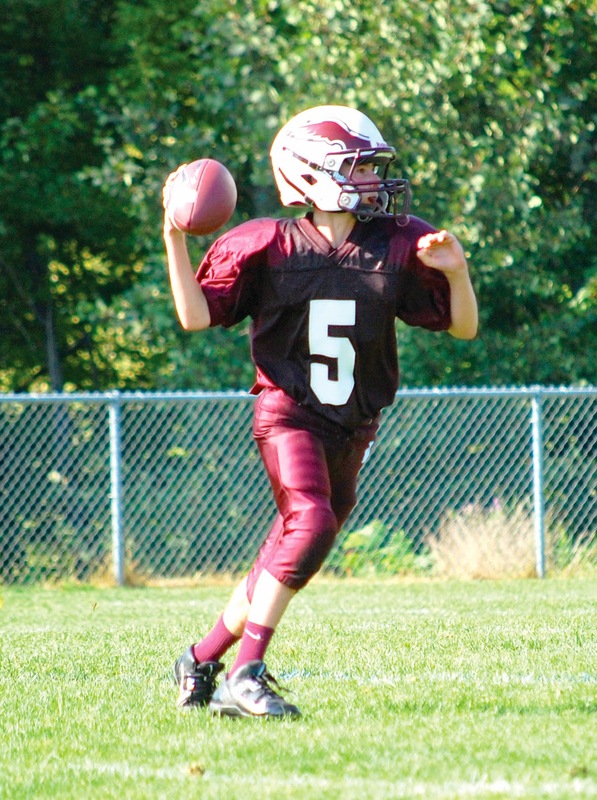 Looking back at the varsity and junior varsity games, he saw enough that he knows the adjustments that he and fellow coaches Rusty Babb, Mark Wall and Anthony Gugliuzza will make this week leading into this Saturday’s game at South Portland. On the offensive side of the ball, new quarterback Blake Houser continued to impress, connecting on some nice completions with Garrett Peeples who converted from tailback to wide receiver this season. In the pocket, Houser showed composure and poise under pressure. 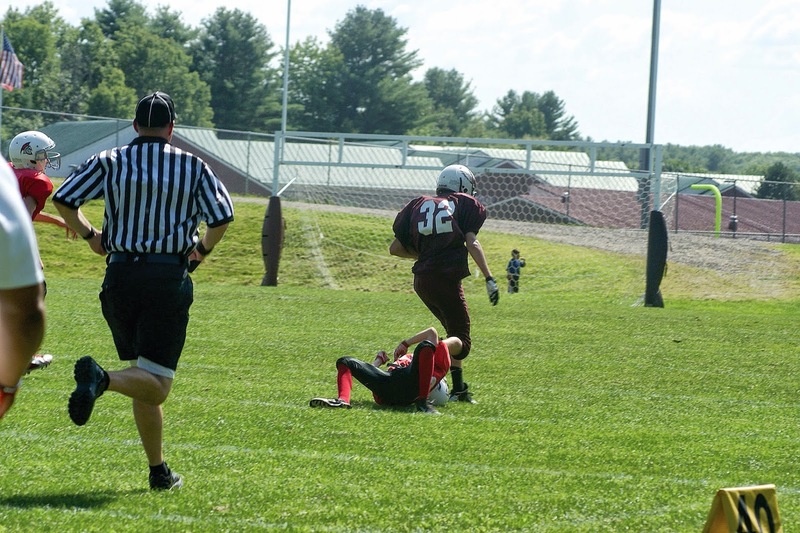 A long gain down the right side of the field to Peeples in the second half set up Windham’s lone touchdown of the game, which the wide receiver also caught. Houser also completed passes to tight ends Josh Mora and Noel Redlon with the latter catching a pass late in the game that put the Eagles inside the Sanford 20-yard line. Houser also ran the ball effectively, as did Treva Valliere and Grant Jacobson, both of whom have no problem running over a defender to pick up an extra yard or two. 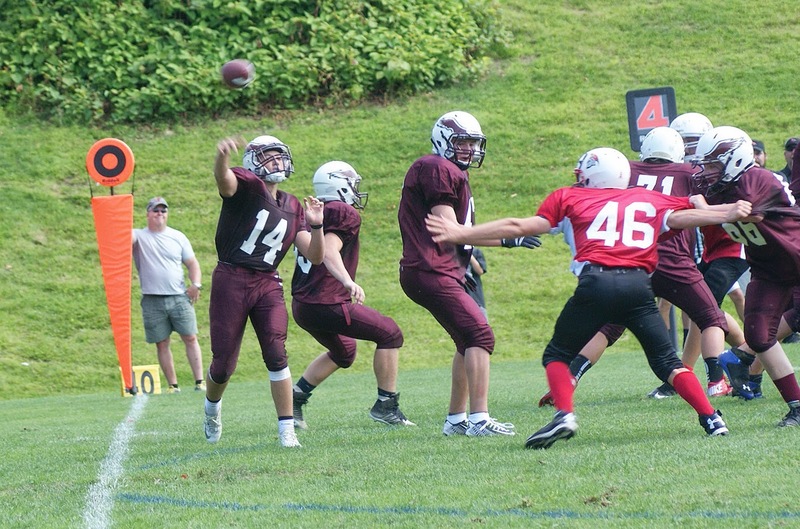 After falling behind to Sanford early in the second quarter, Windham’s defense played much better in the second half with nose guard Blake Colby and tackle Braxton Cassidy sealing up the middle of the line, forcing their opponents to try to run outside where they were stopped by linebackers Valliere and Jacobson and safeties Houser and Mora. Leslie admitted that there were more procedural penalties than he would have liked to have seen, but he stressed the importance of letting the teammates learn to work together. “You want to give these guys an opportunity to feel what it’s like and to develop a trust in them,” Leslie explained. Leslie already had some personnel changes in mind that he thinks will put his team in a good position heading into South Portland. “They’ll see a slightly different team with the personnel changes, if they think they can exploit what they saw against Sanford, they have another thing coming.” Spoken like a true optimist.